Our Brand New HP \ Compaq UPS3000 Compatible UPS Replacement Battery Cartridges incorporate a synergistic blend of materials and special design features that provide Superior Performance, Durability and Reliability for demanding High Rate and long duration discharge applications. This UPS Replacement Battery Cartridge Consists(16) Brand New High Rate Discharge 6V12A SLA Batteries. RefurbUPS premium grade HP \ Compaq UPS3000 Compatible UPS replacement battery cartridges breathe new life into your battery applications suffering from expired or weak internal batteries. 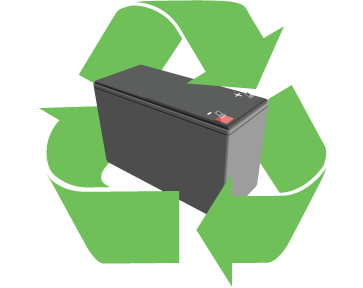 Proactive battery replacement is the best way to extend your return on your UPS investment.